It’s been about one hundred years since the world has entered the era of aggressive industrialization. Whereas it has achieved so many things, we are starting to face a massive amount of “end-of-life” (EoL) products accumulated through decades. They pose larger problems compared to pre-industrialized era equivalent because they don’t degrade easily. The largest and most difficult ones to deal with is infrastructure and buildings. It takes large investments to demolish them, and leaves us enormous amount of concrete rubble, almost impossible to recycle. 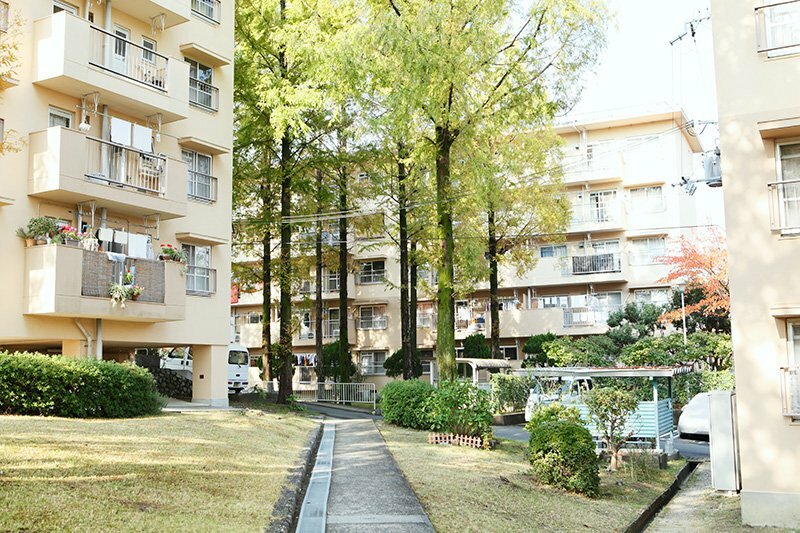 In Japan, countless numbers of condominium-type multi dwelling units (MUDs), called danchi, were built starting in the 50s, to accommodate rapid economic growth. 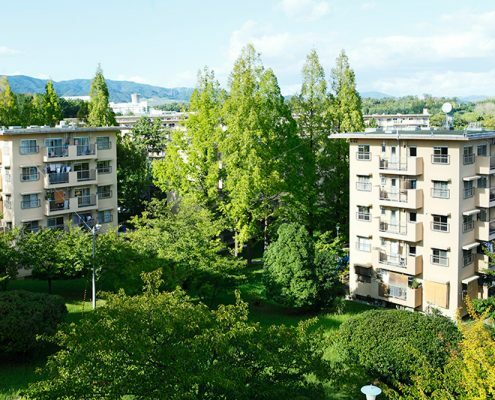 Many of the danchi’s built in the early days are now close to the EoL phase, unless revitalizing efforts are taken. 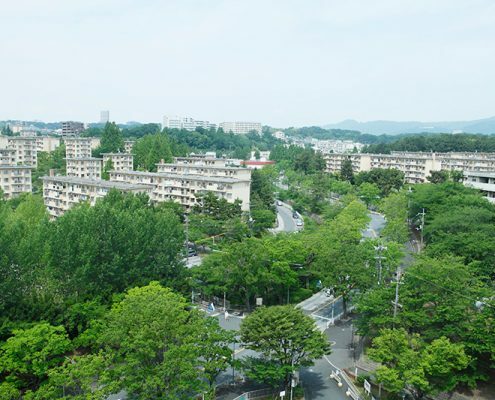 It is becoming a serious issue because the communities developed surrounding the danchi are also declining because the residents are getting older and the vacated properties are not reselling well. 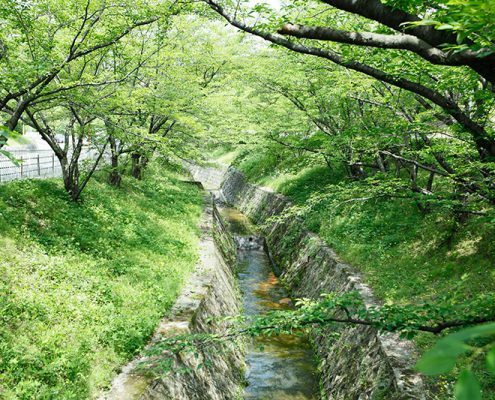 Since some danchi’s would house thousands of people, the decline of a danchi could mean that almost the entire town is disappearing. If Satoyama is a declining community in rural ares, old danchi’s are declining communities in urban areas. 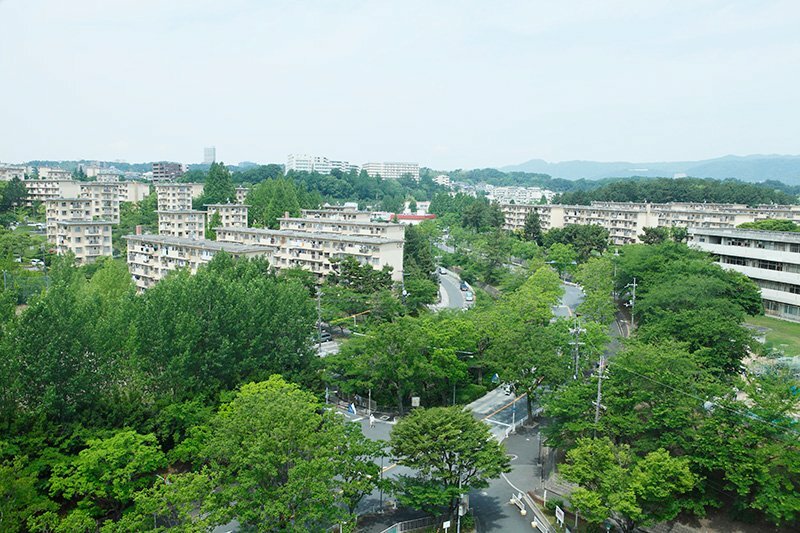 Danchi was designed as a strategic development to efficiently supply a large number of workforce to the urban areas. Located along mass transit systems, it seamlessly connected the residents with metropolitan areas where they worked. 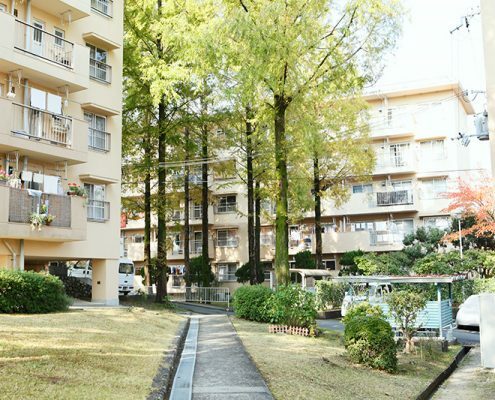 It’s been a large-scale affordable housing project that offered a stable life line, compact but independent rooms, and a kitchen and a bathroom. 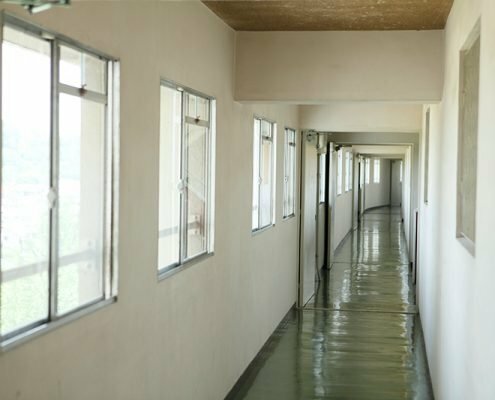 Schools, hospital, commercial facilities were also strategically located to meet the needs coming from the dense population. 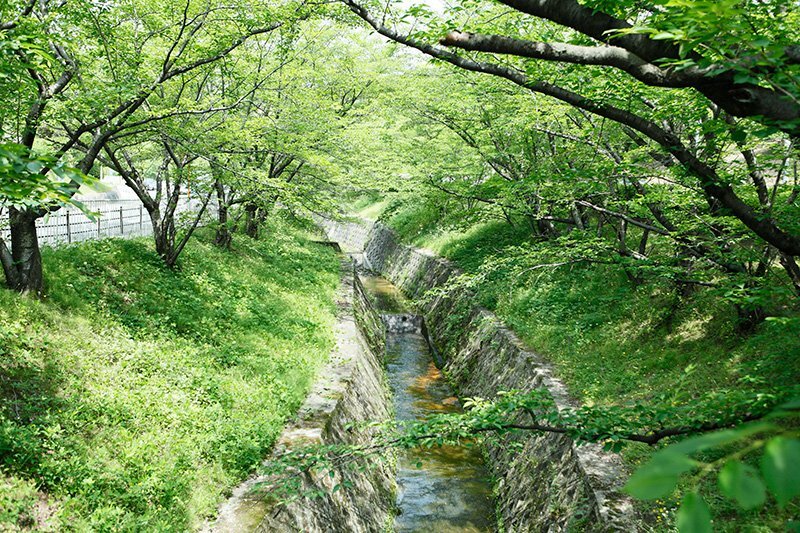 Danchi used to be a symbol of modern life and attracted generations that were weary of traditional rural life. However, after decades, things have changed. Peoples’ taste and the needs for living diversified, and the perception toward danchi has changed as it became old-fashioned. 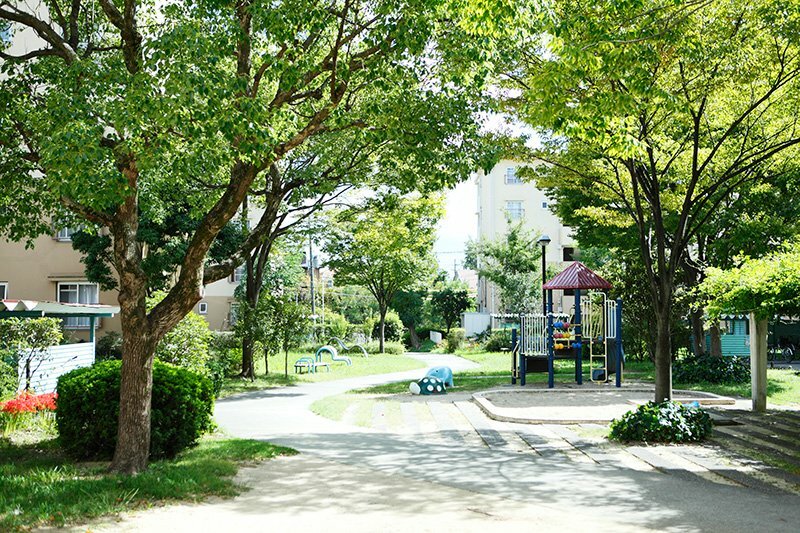 But since they were built when land was not as pricey as today, many developments maintain large park areas, spacious community areas and natural/quiet surroundings. 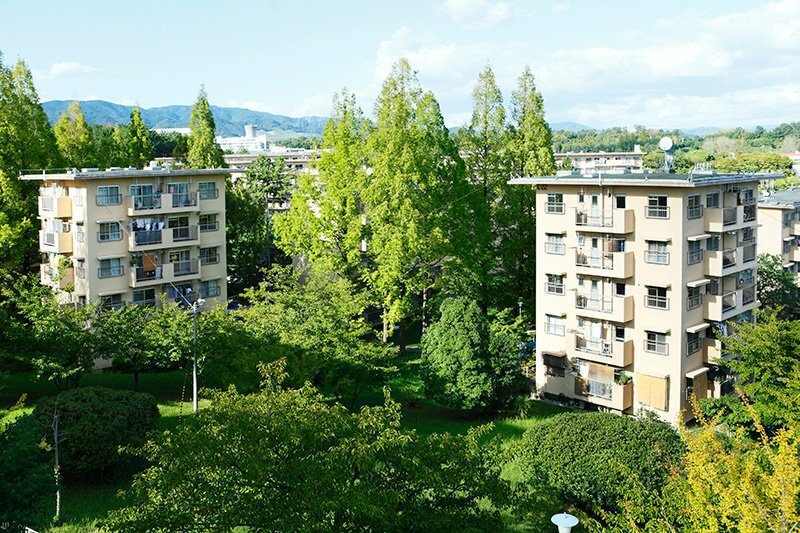 Except for one very critical detail, which is the old style and design, which is nowhere near suitable to the needs of potential residents today, danchi could still be a viable option to live smartly in an urban area. At least UR and MUJI believe so. What’s annoying most people about danchi is its inflexible, rigid room design. 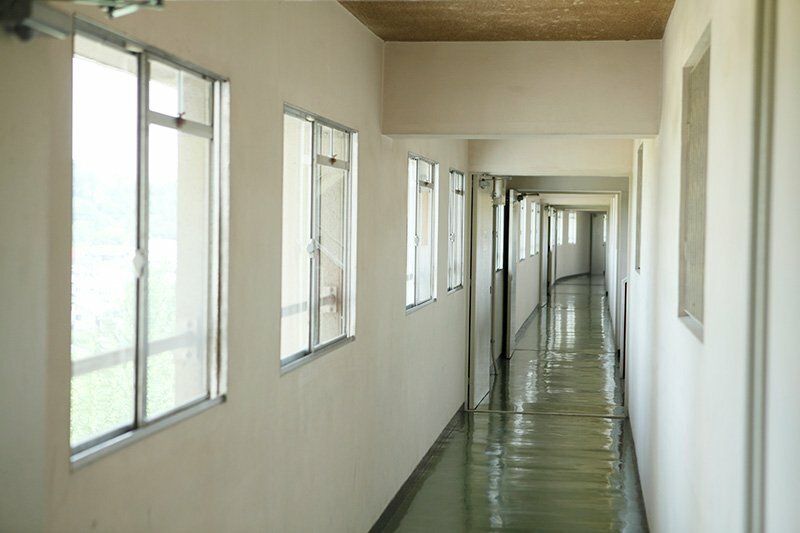 Pursuing efficiency, the area per unit was rather small, but the small spaces were made even smaller to maximize the number of rooms. So once again, MUJI is applying its “emptiness” philosophy, and the “one room house” design is meeting the outdated, stale danchi. 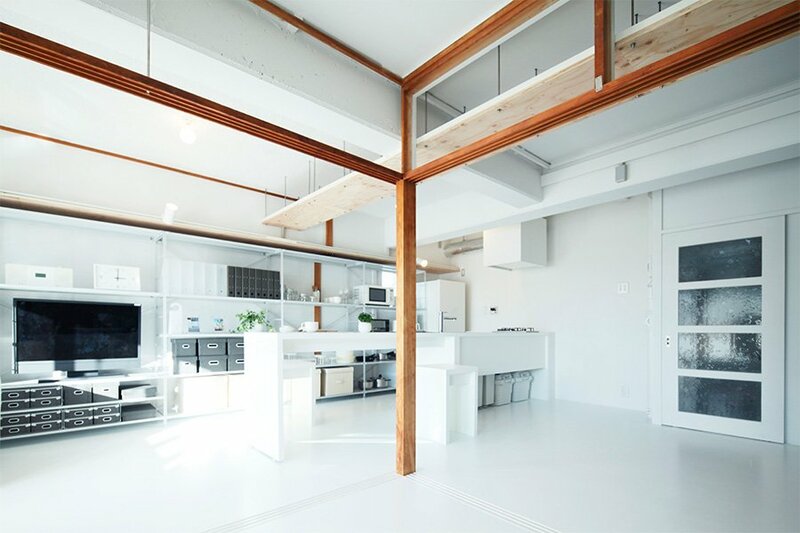 In this collaboration project with UR, MUJI lets an empty skeleton emerge by removing and demolishing unnecessary walls and elements. 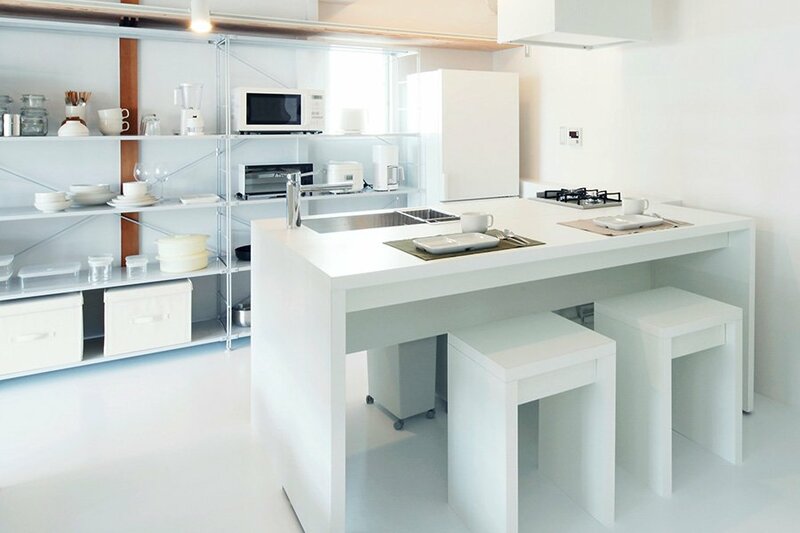 But since it is a renovation project, MUJI also tries to retain as many existing elements as possible. As you see in the picture below, if pillars and Japanese style lintels (called kamoi) are in nice and sturdy condition, they are most likely kept as is. While existing elements that are adding functionality or aesthetic value are kept, the rest of the elements are removed so new style can be infused. 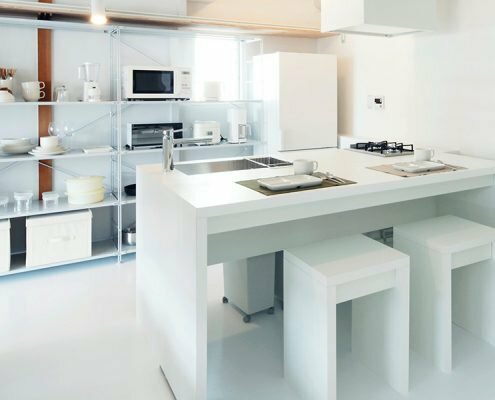 For example, an old-style small kitchen facing a wall can be remodeled to become an open one. 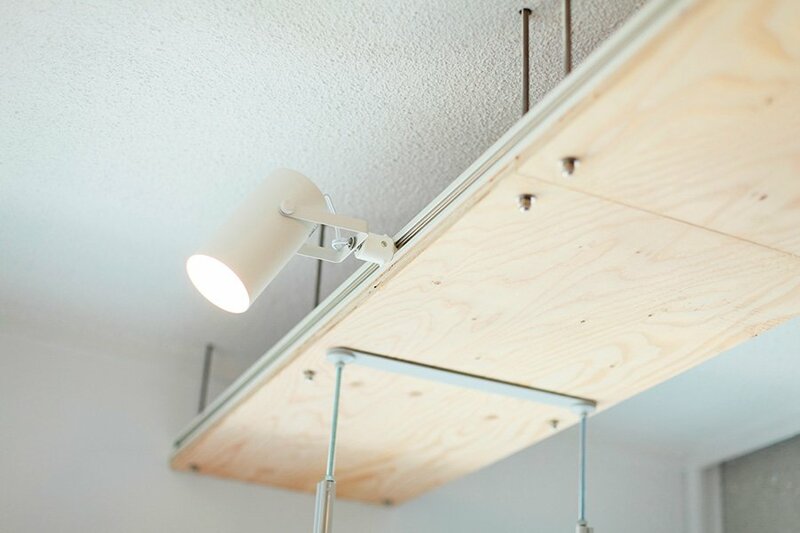 Or, shelves can be hung from ceilings to function as a room divider/organizer. 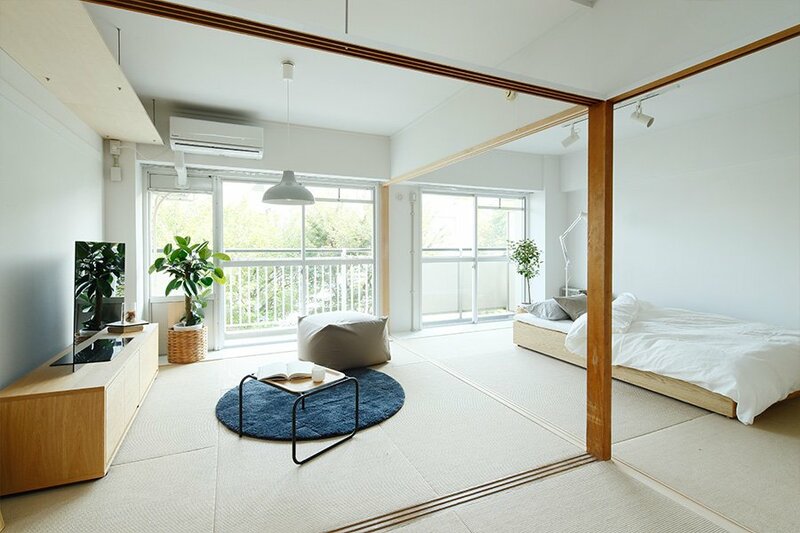 Because a one-room house can be freely edited, it can have many different designs, depending on the needs and tastes of the new owner. 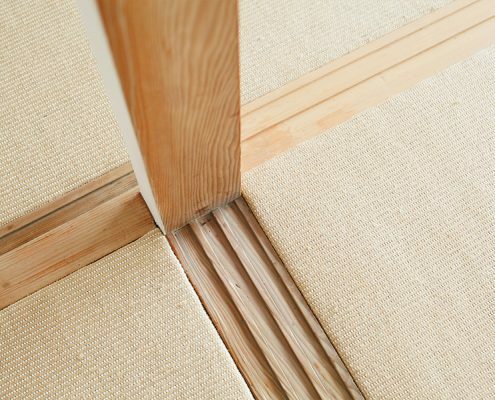 Japanese traditional houses use “tatami,” a mat or flooring material made of straw. 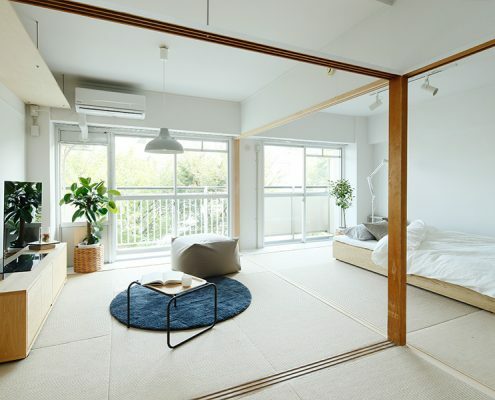 Tatami is becoming less popular because it does not fit a modern interior style. However, a life on tatami is comfortable because you can sit or lay directly on it. 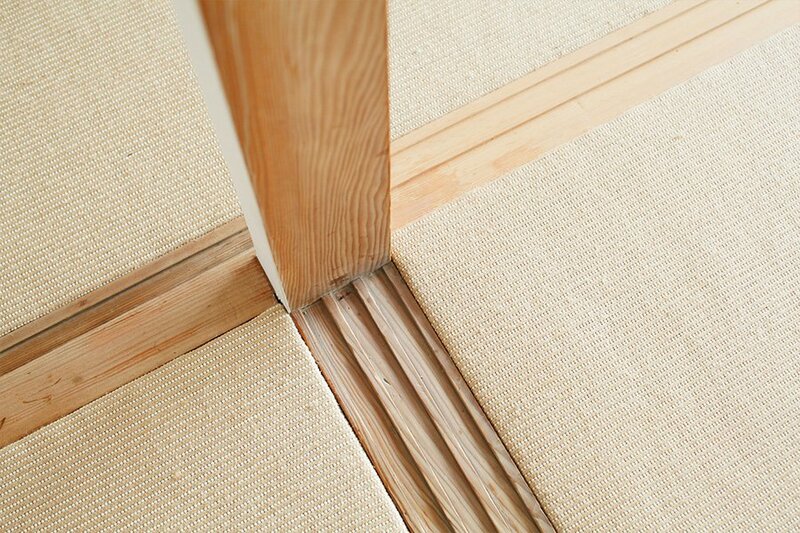 MUJI is re-defining tatami by tapping in to linen, a material that fits the modern style, and feels nice on your skin. We have been living in an economy where it has been cheaper to make new products, rather than maintaining or repairing old ones. But it’s not obvious if that equation stills hold true. Costs for many materials such as food or metals keep increasing, and land is becoming even pricier to accommodate an ever-increasing global population (unless you are in distressed area, which is a different issue). It is time to seriously evaluate our old assets and re-discover their real values. If we just uniformly apply a depreciation formula to our existing product fleets, we may miss precious value, both tangible and intangible, that have been surviving the test of time. In many cases, infusing new ideas or applying small modifications/tweaks would be enough to reveal the beauty of old products buried by time and dust. 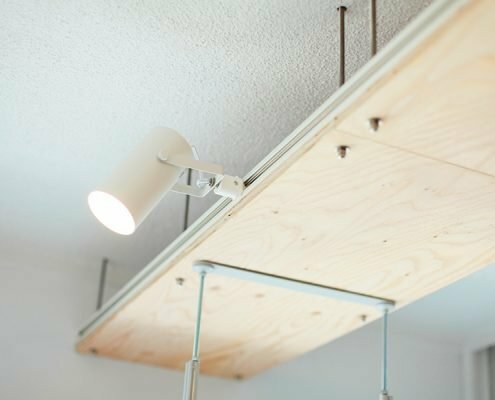 MUJI and UR are re-discovering real values of danchi, applying its “emptiness” aesthetics. They are overcoming one critical disadvantage – its outdated style – by simply removing the elements that don’t fit the life today. 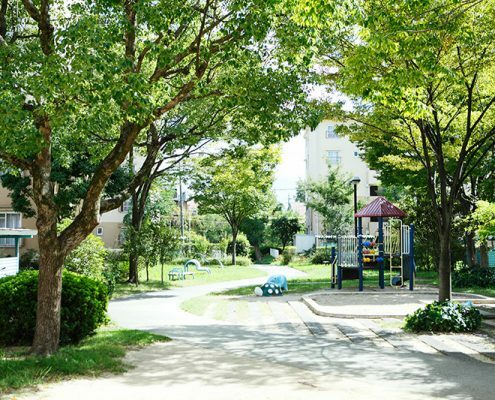 By prereserving everything else, they were able to re-define the value of danchi, which sit in great locations and are surrounded by great environment/communities. Their projects are proving that it’s not necessary to demolish and build something new to attract new residents. Hidden values in old products are enough, or more than enough, to deliver happiness to customers.